In Palestine, Kvinna till Kvinna’s partner organisation Women’s Studies Centre has successfully supported women with conflict-related grief and trauma for years. Recently, they met women’s rights activists from Syria to share their experience of trauma treatment. Women’s rights activists from Palestine talk to Syrian activists about their experience of trauma treatment. Photo: Sara Lindvall / Kvinna till Kvinna. Since 2002, Women’s Studies Centre has run a programme to help women suffering from trauma caused by the conflict between Israel and Palestine. 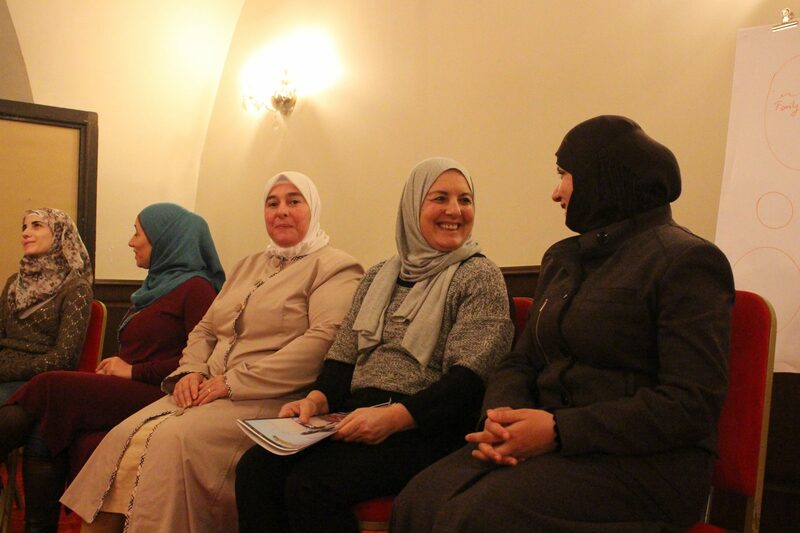 With the support of Kvinna till Kvinna, they were now able to share best practices with activists from Syria who encounter women with similar problems in their daily work. “The Syrian activists work with survivors of sexual violence, offer psychosocial support and run activity centres for women. We wanted to help them develop their skills to provide the women they meet with the best possible support,” explains Kvinna till Kvinna’s Sara Lindvall, who organised the exchange. Women’s rights activists working in areas of conflict – whether in Palestine or Syria – tend to be highly exposed to threats against their safety. Often, they also have extremely heavy workloads. Because of this, the Kvinna till Kvinna-facilitated exchange focused not just on sharing experiences, but also on security training and self-care strategies, to help activists retain the strength to carry on. “I had developed severe sleeping problems and couldn’t concentrate on my work at all anymore. Since the exchange, I understand I have to help myself first in order to be able to help others,” says Rania, one of the participants. Rania works for a Syrian organisation that focuses on psychological health and support for refugees. “I want to get better at helping other women. Meeting these Palestinian activists meant a lot to me. Their situation is similar to mine, so they know what they’re talking about. When I return to Syria now, I’ll know better how to help my team,” Rania says. During the training sessions, participants discussed the importance of acknowledging grief as a social problem. They also talked about whether culture, religion and gender cause grief and mourning to be expressed differently. The group concluded there were great similarities between Palestine and Syria.